Build photos from 2016 of our stitch and glue El Toro, “Indefatigabull”. 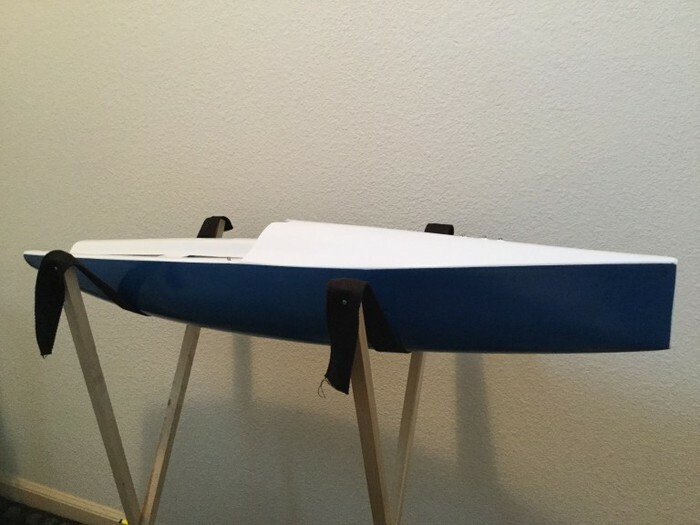 The keel fin is drilled with a bolt nut and shaft epoxied in place. It went easier than expected with no real hiccups. I also drilled a hole in the rudder for the shaft and epoxied that in. 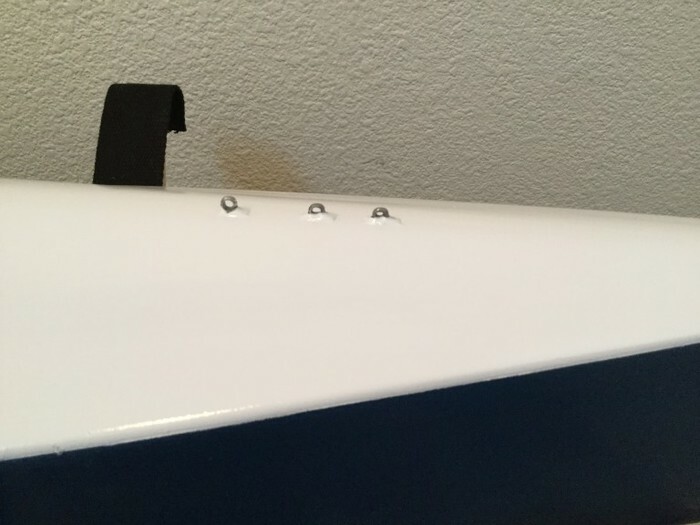 It was difficult to minimize the slot between the rudder and the hull, and I ended up with a bit of a gap. 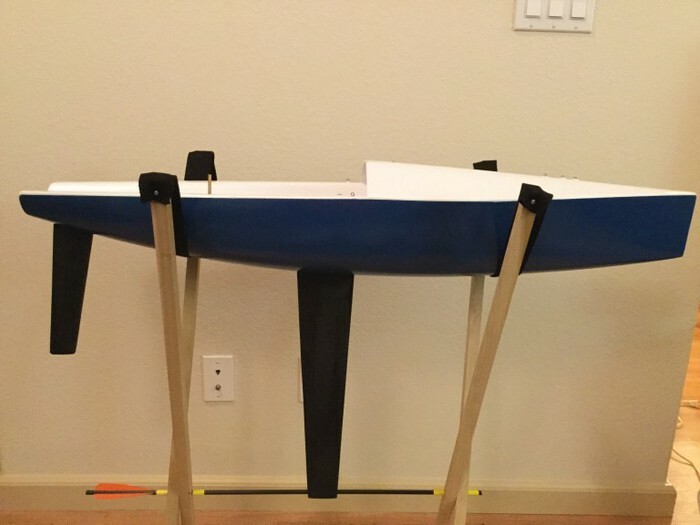 I’m interested in 3D printing a rudder mold where I can mold the shaft in, so I’m content with a gap now and a potential project to replace it later. I was nervous about using the Z-Poxy on the rudder, as I’m not confident that it’s waterproof. The rudder doesn’t have a nut holding the shaft in place like the keel does, so any epoxy failure would lose the rudder. 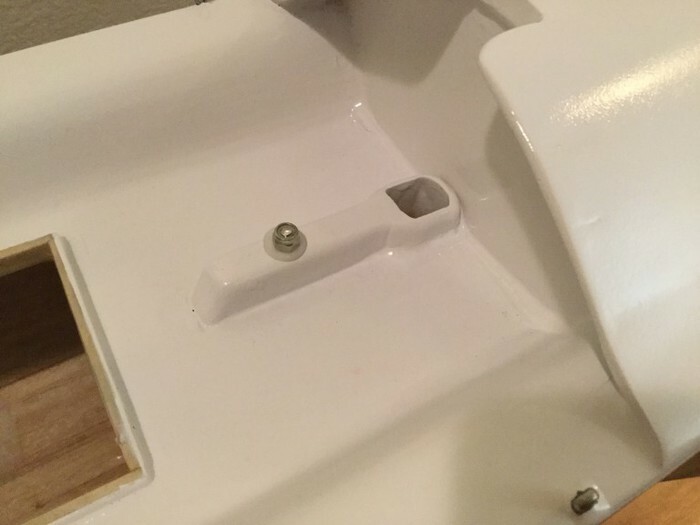 I recently fixed a shower scrubby handle with Z-Poxy, and it peeled off rubbery, which makes me worry about all the places I’ve used it on the boat. 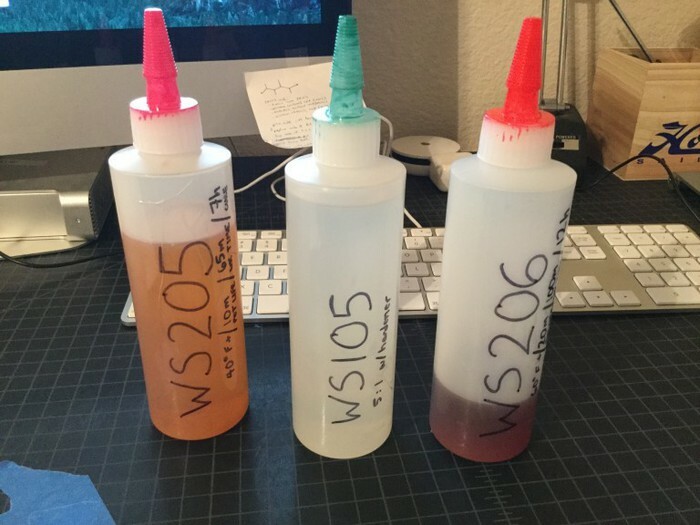 My favorite part of the Z-Poxy was how easy it is to mix small batches with the squeeze bottles, so I went to the art store and bought some $1 squeeze bottles for my West System epoxy. Much more trustworthy, and handily labeled by Carole! I just pulled the masking tape off after painting the deck with Rustoleum Gloss Protective Enamel. My surface preparation on the deck definitely wasn’t as good as the hull, but the blemishes aren’t showing through as bad as I’d expected. The most noticeable spot is the transom. I’m okay with that. The keel box poking through looks a little silly in white. I may hand paint it something else later. Yesterday’s eye bolts look good! Next up I need to cut into my keel to install the mounting bolt. 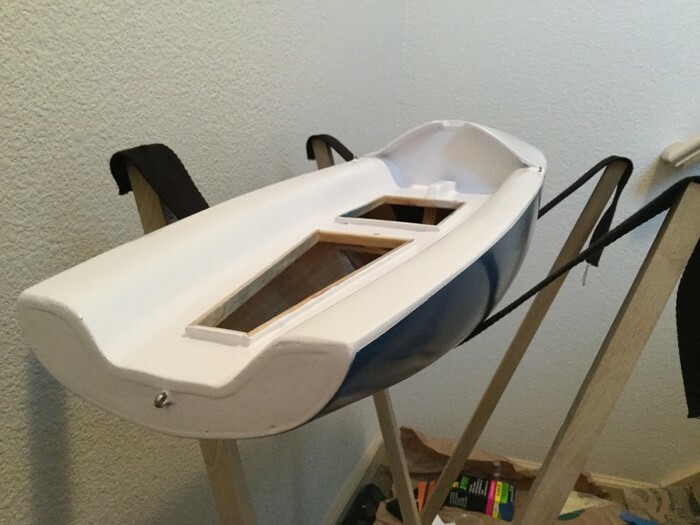 It sounds tricky and I’ve been putting it off until now, but it’s blocking finishing the hull. The keel box needs the hole drilled for the mounting bolt.